You can invest in the future wellbeing and safety of your family and the generations that will follow them is by leaving a bequest to the Canterbury West Coast Air Rescue Trust. For all of us, making a Will is one of the most important ways we can ensure friends and family are provided for when we can no longer be here to support them. For the Canterbury West Coast Air Rescue Trust, when our supporters also choose to leave a bequest to the Trust, it is one of the most powerful decisions they make. Those supporters who have made this decision, no matter how large or small the gift, have guaranteed their generosity will continue to save lives beyond their own lifetimes. New Zealand's unique landscapes, its relatively small population spread across several islands and a health system built around five main centres mean air ambulances and rescue helicopters are essential to save lives. 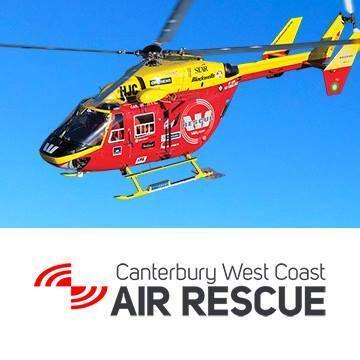 The Canterbury West Coast Air Rescue Trust is a registered charity and administrates the air rescue services which are a lifeline to over 1,000 patients in our region every year. Leaving a bequest helps ensure that our air rescue service will continue to be here for generations to come. For further details on leaving a bequest to us, visit our website. Original generation time 1.8640 seconds. Cache Loaded in: 0.0457 seconds.